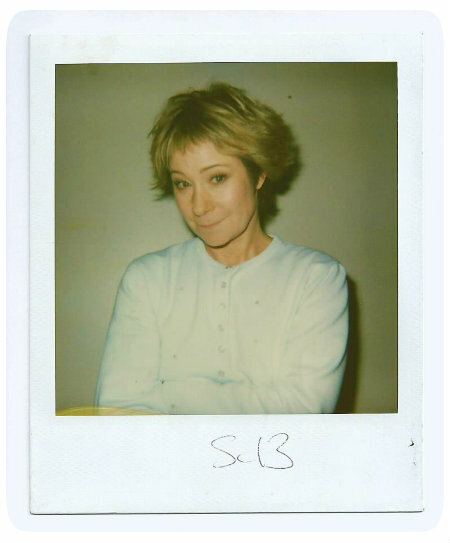 This is the official website for actress Zoë Wanamaker CBE, who's known to millions as Madam Hooch in the film Harry Potter and the Philosopher's Stone; Susan Harper in more than a hundred episodes of sitcom My Family; and Tessa Piggott in bittersweet drama Love Hurts. In addition to her most famous roles, Zoë has an extensive – and growing – list of credits on film, stage, TV and radio, making her one of our most successful, popular performers. She's among the greatest actresses of her generation and makes an enormous contribution to the arts. 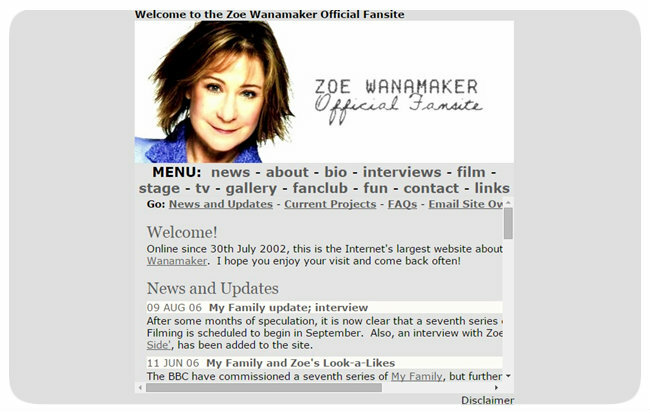 The website is authorised by Zoë and managed by a fan called Liz Lockhart (that's me – hello!). It's designed to be the Internet's most comprehensive resource about one of the world's most talented actresses. If you type Zoë's name into Google, the site is likely to appear at the top of your search results. It was referred to in the Actors' Handbook 2012 (for which Zoë was interviewed); named Celebrity Site of the Day on 17 August 2014; and is linked to from the Guardian's website. It's been mentioned in a listener's question on BBC Radio 2's Graham Norton Show and even discussed by Zoë herself on a hospital radio programme! As the website has been online for more than ten years now, I think it's high time to shed more light on why and how it was created, as well as discuss the milestones it's reached. The site's development is closely linked to some significant moments in my life, and so it makes sense to talk about those here too, including how I became a fan of Zoë in the first place. I've followed Zoë's career since the age of fourteen and created the first version of the site while still at school. I'm now in my early thirties, and so you could say I've grown up with Zoë's work and the website. In fact, I can't imagine what life would be like without them. You'll no doubt have vivid memories of the first time you saw Zoë act, and the same is true for me. 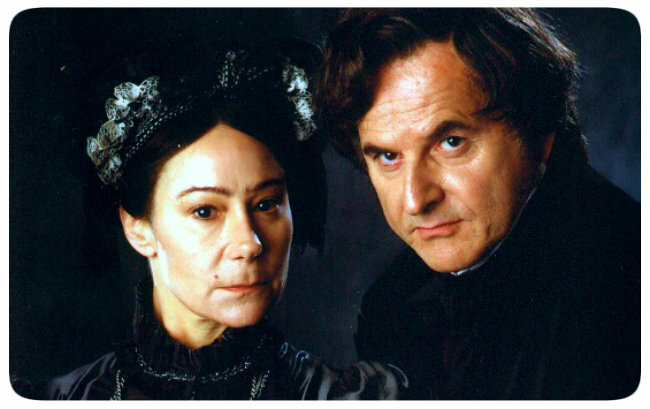 The BBC's adaptation of Dickens's David Copperfield, which began on Christmas Day 1999, introduced me to her work. The period drama boasts a stellar cast: in addition to Zoë, Trevor Eve, Emilia Fox, Bob Hoskins, Ian McKellen, Maggie Smith and many others brought the novel's characters to life (not forgetting Daniel Radcliffe, pre-Harry Potter, as young David). Zoë's performance in David Copperfield captured my attention, not least because it scared the life out of me – and still does! She played Miss Jane Murdstone, the severe, 'metallic lady' (as Dickens memorably described her in his novel) who terrorises David and his fragile mother, alongside her even more terrifying brother, the cold-hearted Edward Murdstone. As Zoë commented at the time, Miss Murdstone was the first 'really nasty person' she'd portrayed. She had 'good fun' playing a character that the audience would love to hate. Zoë joked, 'I find Jane a woman without a modicum of niceness in her… and that's fabulous'! Watching more of her TV appearances the following year (including fantastical drama Gormenghast and the first series of My Family), I realised that Zoë's range as an actress is remarkable. She excels at comic and dramatic roles, as well as in period and modern productions. She's never been typecast, and her choice of projects is never predictable. I particularly like the fact that Zoë is never afraid to tackle challenging or off-the-wall characters. 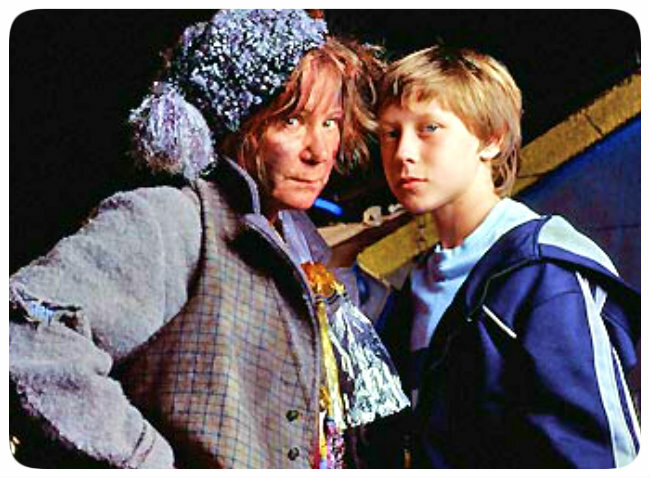 She's played a tremendous variety of roles: the hard-bitten partner of a murder suspect; the matriarch of a family of leprechauns; a quirky, twentieth-century poet; a pet dog... The list goes on. 'I just want to keep ducking and weaving,' Zoë has said about her approach to her career, which suggests that she's always keen to try something new, something different. Each character is unique, but a common thread runs through Zoë's performances: sincerity. That's the quality I most admire in her acting and, I believe, what makes her one of the greats. Thanks to her sincerity and commitment to her craft, Zoë excels at making even the most eccentric characters believable and evoking the audience's sympathy for them. Her role as Mrs Tachyon in children's drama Johnny and the Bomb perfectly illustrates this point. The time-travelling bag lady provides moments of light relief (pinching Johnny's trainers to escape from hospital springs to mind! ), but her actions can also be deeply moving. When she listens, in a deserted house, to the menacing tick-tick of a Nazi bomb, her eyes express great sadness. It's clear from then on that Mrs Tachyon is just as wise and compassionate as she is wacky. No matter how unconventional they may be, Zoë's characters always possess dignity, determination and quiet strength – qualities that make them utterly compelling. When I first became a fan, the Internet was only just beginning to take off, and there was little information about Zoë's work online. That got me thinking: wouldn't it be great if someone created a website to celebrate her achievements? As no-one else had made one, I decided that 'someone' might as well be me. If it didn't work, so be it. It was worth a try. The project was on my mind in October 2001, when I stumbled across a new online discussion group dedicated to Zoë's work. The group was created by another fan, Kirsten, and soon proved popular. Introducing myself to Kirsten and the other members, I emphasised that a group for Zoë's fans was 'a great idea', as 'she doesn't get all the recognition she deserves'. I added that I was 'busy trying to make a website about all the plays/films, etc. she's been in'. Being part of that lively community of fans convinced me that the website was needed and would find an enthusiastic audience. The group is no longer active – discussion groups seem to have fallen out of fashion in recent years – but I'll always be glad I found it. The conversations I had as part of the group gave me a lot of pleasure, and I should think that the same can be said for many of the several hundred other fans who also joined it. Back in 2001, I wasn't particularly happy in my personal life, but working on the site did me the world of good, especially as I've always enjoyed research and writing. The project helped me to engage with Zoë's work in a new way, as I learned a great deal about the roles she'd played before I became a fan. I'm still learning now – and still wishing that I had a time machine, so that I could travel to the past and catch up with the performances I've missed! 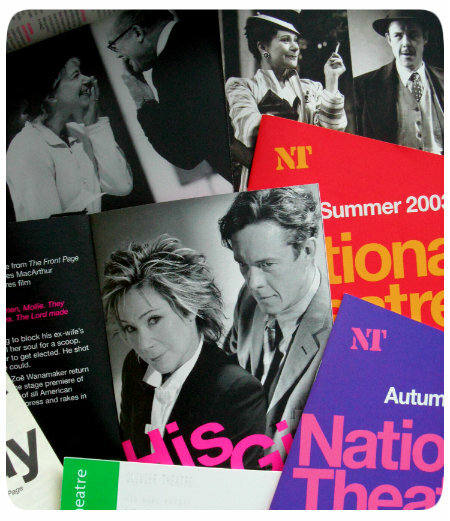 Another benefit of creating the website was that it enabled me to put my collection of articles, interviews, theatre programmes and other items related to Zoë's career to good use. Several members of the discussion group gave me permission to include items of their own here too, for which I'm very grateful. Some kindly helped me to find out more about certain aspects of Zoë's career, before the website was launched and also in its early days. Kirsten, Natalie, Kerrie and Gemma were particularly helpful and generous with their time. The pressure of coursework and exams meant that it wasn't until the summer holidays began, in June 2002, that I could really focus on putting the website together. I'd previously dabbled in making sites but was no expert. Producing the first version of this site was a huge undertaking, and sometimes I wondered whether I'd bitten off more than I could chew. But the project was so enjoyable and fulfilling that I was determined to persevere with it. As I sat in front of my clunky old PC, with sunlight streaming through my bedroom window, the website slowly took shape. I signed up to a free web-hosting service, GeoCities, and familiarised myself with some simple website-building software. Creating the site was a steep learning curve. 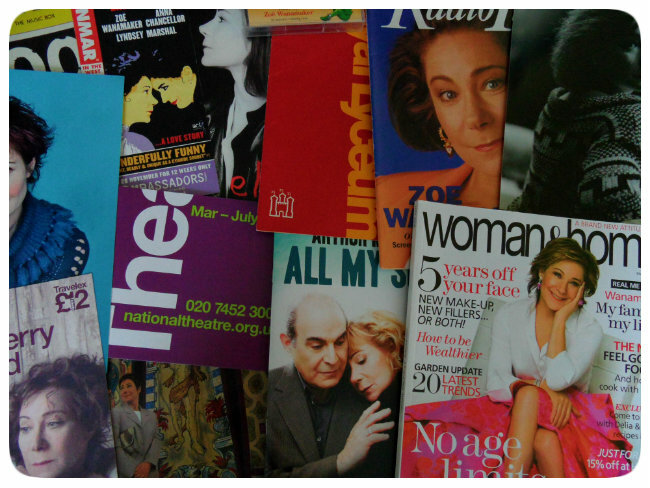 A particularly important part of the process involved studying existing websites about actors and actresses, with the aim of finding out what worked and what didn't. Many of the websites I looked at were heavily reliant on photos (often paparazzi shots, which made me feel uncomfortable) and had little original written content. One site I saw contained several thousand images of a particular film actress. Of course, fans like to see photos of their favourite performer, but photos alone won't do much to enrich their understanding of his or her career. With that in mind, I set out to achieve a better balance between images and text on this site than I'd seen elsewhere. I also decided to write my own articles, wherever possible, with the aim of making the site as original as it could be. One of the finest websites devoted to an actor must surely be the Alan Bates Archive, which was created in 1997 by the talented Karen Rappaport. Elegantly designed and beautifully written, the Archive is a fantastic tribute to the late Alan Bates (with whom Zoë appeared on TV in the brilliant, tragicomic The Dog It Was That Died). The quality, depth and richness of its content never cease to amaze me. The Archive is a hugely valuable resource for Bates's admirers and undoubtedly enhances the experience of being a fan. I visit it often. I've always tried to make this website lively, informative and detailed, rather like a biography, in the hope that it'll stand the test of time, just as the Alan Bates Archive has done. Launching the Website – and Telling Zoë! The first version of this website was launched on 30 July 2002 (though I continued to make adjustments to it for several days after that), with a less memorable address than it has now: geocities.com/zwsite. I'd tried hard to create a site that other fans would find helpful and enjoyable, and so their response to the launch mattered a great deal to me. You can imagine how thrilled I was to receive encouraging messages, including one from a lady called Jeana, who said that she was pleased to see such a website as she'd 'been waiting years for one'! In order to promote the website, I submitted it to various search engines, relevant site directories and the IMDB.com, as well as exchanging links with other fansites. Around this time, members of the BBC Comedy team created a My Family website. They were kind enough to link to my site – and no doubt boosted visitor numbers here as a result! Of course, there was one person in particular who I still needed to tell about the website. I wrote a letter to Zoë about it – and kept my fingers crossed that she'd like it! While waiting for a reply, I couldn't help feeling nervous. Would Zoë enjoy the site? Would she approve of its appearance and content? Did she even want a site at all? I'd been so caught up in making the website that I hadn't stopped to think about that last question. Now I was wondering if I'd made a mistake by not mentioning my plans to Zoë before starting work on the project. Thankfully, Zoë said that she was 'very flattered' to learn that there was now a website, created by a fan with contributions from other fans, devoted to her career. 'Thank you for your time and effort and to all your pals who have contributed,' she added. Knowing that Zoë liked what she'd seen here made all of the hard work worthwhile. She kindly enclosed a Polaroid photo with her reply: a truly one-of-a-kind image to be displayed on the site. Originally, the website was an unofficial tribute to my favourite actress. That changed in March 2003, when Zoë wrote me another letter, in which she offered to make the site official, for which I'll always be very grateful. I read her letter in amazement and was delighted when she provided a special message to celebrate the site's new status. Having Zoë's seal of approval for the site meant – and still means – a great deal to me. I've never been particularly confident, but Zoë's words gave my self-esteem a much-needed boost. The following month, the BBC Comedy team kindly reflected the change on its My Family website, as you can see from the 'latest news' section of an archived version of that site. Unfortunately, I can't show you what my website looked like when it first went online, as I've been unable to find any screen captures of it from that period among my old computer files. However, the image below shows what the site looked like around the time it became official. Its appearance hadn't changed drastically since it was launched; it'd just become more streamlined. My IT skills are fairly limited, and so I decided that simplicity was the best option. The website's design was intended to be clear and easy to navigate. While the site has been redesigned a couple of times since 2003, my aim has always been to allow the content to speak for itself. In addition to providing a record of her work, the website raises awareness of charities and campaigns close to Zoë's heart. I think it's important to draw attention to good causes and issues that matter to her, as doing so may encourage fans to get involved with them too. 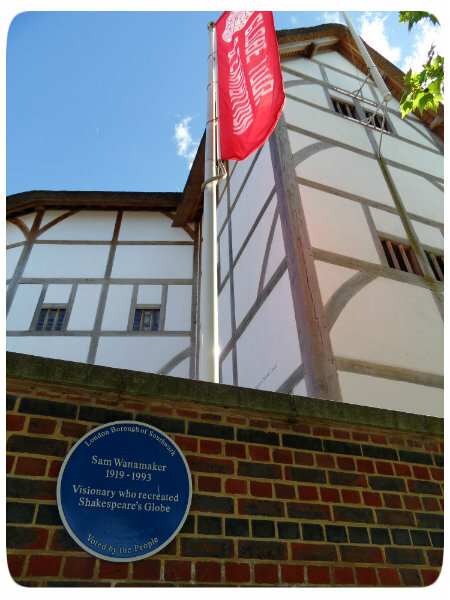 Perhaps most notably, in spring 2003, the site highlighted Sam Wanamaker's nomination for a blue plaque in recognition of his efforts to rebuild Shakespeare's Globe on the South Bank, in Southwark, London. Zoë's late father was among fifty 'Southwark icons' shortlisted in the local council's People's Plaques initiative. Members of the public then voted for their favourite. Zoë also emphasised that her father 'was a visionary', who believed 'in Southwark and the rejuvenation of the South Bank', now a vibrant hub for theatre and other art forms. I’d been lucky enough to experience the magic of Shakespeare's Globe soon after it opened, when I was about twelve, as part of a school trip organised by my English teacher. If you've ever visited The Globe, you won't need me to tell you that it's an incredible building. I remember standing on the stage with my classmates (although I can't be sure, all these years later, whether we really did that or just wished we could!) and looking around in awe. At the time, of course, I had no idea that one day I'd be running a website about the first person to speak on that stage! I still have the school project I completed about Shakespeare, the original theatre and its modern reconstruction, in which I wrote about Sam Wanamaker's tireless work. It's been wonderful to see The Globe go from strength to strength since it opened in 1997 and be joined by the equally exciting recreation of an indoor Jacobean theatre, the Sam Wanamaker Playhouse. Sam Wanamaker's nomination proved hugely popular, winning almost three thousand seven hundred votes. As one of the top twenty nominees, he was duly awarded a blue plaque. In May 2003, Zoë was presented with the plaque at a special ceremony and photographed proudly holding it aloft. The following month, she formally unveiled the plaque with her father's brother, Will, at Shakespeare's Globe, where it can still be found. The South Bank was where I was heading myself, a couple of months later, for my first trip to see Zoë in a play. On 5 July, my family and I travelled to the National Theatre, just a stone's throw from The Globe, for His Girl Friday. Zoë starred as feisty ex-reporter Hildy Johnson in the fast-paced comedy, and her energetic performance earned considerable praise from theatre critics. One of the most memorable reviews was penned by The New Yorker's John Lahr, who described Zoë's Hildy as 'a petite dynamo with a glint in her eye'! I was keen to see Zoë acting on stage for two main reasons. Firstly, theatre is the medium in which she's worked most extensively. Secondly, nothing compares to the magic of a live performance! I couldn't have asked for a better way to celebrate leaving school. 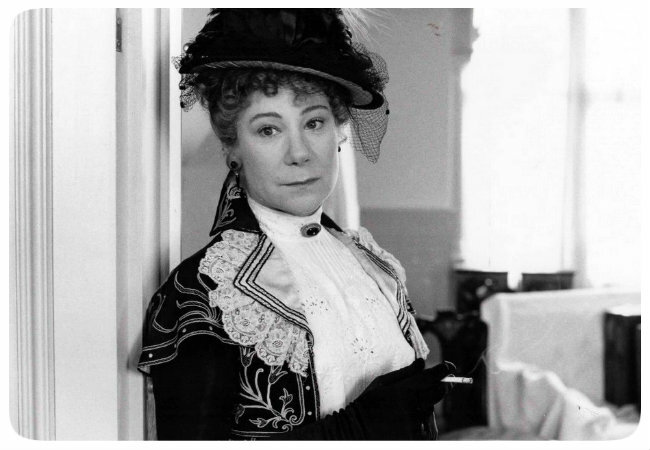 I'd missed out on watching Zoë perform Battle Royal and Boston Marriage, two plays that were staged shortly after I became a fan, partly because I didn't have much spare money. Thankfully, His Girl Friday was part of the National's first Travelex £10 Season (Zoë had been photographed at its launch a few months before my trip). More than two-thirds of the tickets were £10, with the aim of making theatre more accessible. That certainly made all the difference to me. As the show got underway, I was determined to make the most of every minute of it. 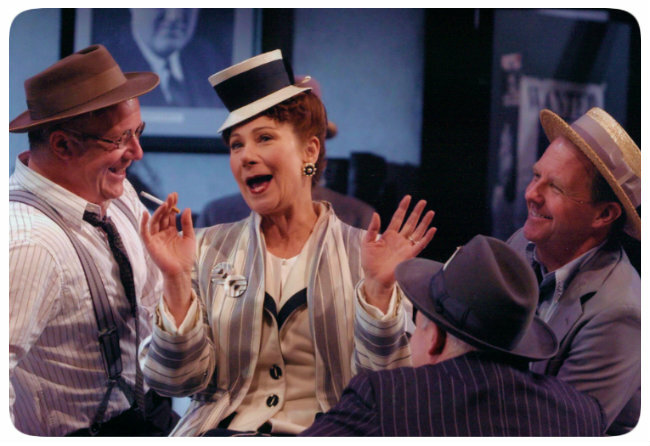 His Girl Friday is one of my favourite theatre productions: beautifully acted, cleverly written and imaginatively staged. After the show, there was another treat in store. Nervously, I made my way to the Stage Door (thank goodness my family were there to provide moral support!). I'd arranged to meet Zoë for the first time backstage. I doubt I made a good impression on her, as I was too nervous to say very much at all, but she was lovely. 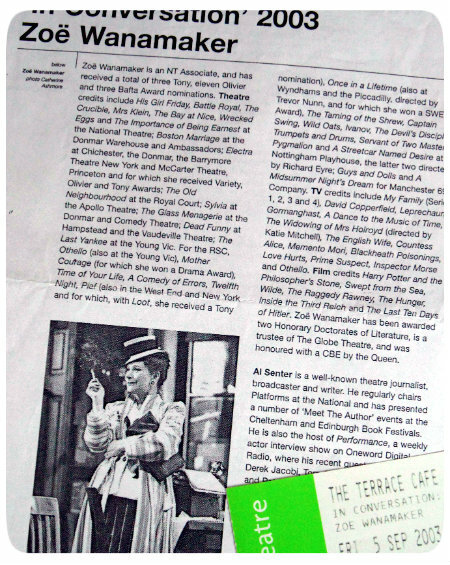 The National's Terrace Café hosted a special event during His Girl Friday’s run, called In Conversation with Zoë Wanamaker. On 5 September, dozens of fans, including several members of the discussion group, came along to see Zoë being interviewed by journalist Al Senter over afternoon tea. Listening to Zoë talk about performing His Girl Friday, taking Electra to Broadway and the 'joy' of teaching Hogwarts pupils to fly in Harry Potter was fascinating. I did my best to remember the main points and write them up for the website. If you've ever been to a Q&A with Zoë, you'll know that she's a highly engaging, lively interviewee. Her passion for acting was evident throughout the discussion at the National. One remark she made that afternoon, in particular, has stayed with me: 'acting is like a relay race, passing the baton on from actor to actor'. It suggests that for Zoë, acting is all about people, and bringing a production to life is an exciting, exhilarating, exhausting team effort. Although His Girl Friday was the first of Zoë's plays I'd seen, I'd been in the audience at a studio recording of an episode of My Family earlier in 2003, having applied for tickets via the BBC's website. Tickets were free and allocated on a first-come-first-served basis. You couldn't book a seat, and you weren't told at the time you applied whether you'd been successful or not. You just had to keep your fingers crossed that the gods of ticket allocation were on your side! In the light of My Family's popularity (in the UK, it attracted more than eleven million viewers at the height of its success), the demand for tickets was obviously high. I seem to remember making a few unsuccessful applications before I received any. On 23 January, my dad and I had driven to Pinewood Studios, Buckinghamshire, in order to watch the episode in question, 'Blind Justice', which is from My Family's fourth series. The episode gave Zoë plenty of opportunity to demonstrate her flair for comedy, following Susan's highly unusual reaction to finding her teenage son in bed with his girlfriend! I remember being surprised that the Harpers' house didn’t really have a first or second floor; all of the sets were on the same level. That sounds silly, I know, but I'd never seen a sitcom being made before. Studio production was completely new – and fascinating – to me. Although I'd enjoyed the recording, and it'd been a treat to see Zoë performing live and joking around with her castmates between takes, I'd recently been ill and still felt fragile. Thankfully, my family and I had the chance to watch several other My Family episodes being recorded over the next few years, although the long journeys to Pinewood Studios could be fraught. I'll never forget the time that Dad and I set off for Pinewood only to end up at Shepperton Studios by mistake. Oops! I'm still not quite sure how that happened! About a month after my first trip to Pinewood, My Family's stage manager, Bob Crossley, sent quite possibly the nicest email I've ever received about the website. He called it 'one of the best and most elegant websites' he'd seen (which I'm sure is higher praise than it deserves, but his words made my day!). Bob kindly provided me with a few My Family photos for the site, including a lovely portrait of Zoë. 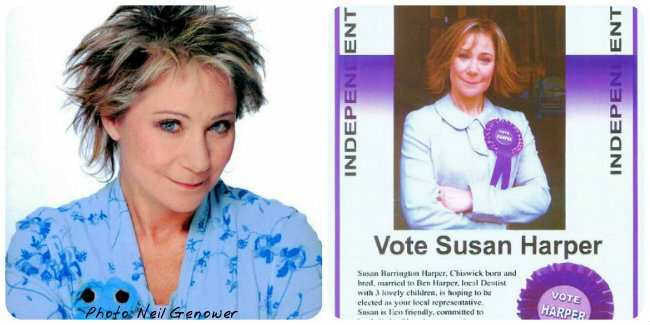 When I next saw an episode being filmed (series five's 'First Past the Post'), he took the trouble to save me a prop: a leaflet promoting Susan's campaign to be elected as an MP. I like to think of it as a piece of TV history! When I saw the recording of 'First Past the Post', I'd just finished my first term at the University of Cambridge. Between autumn 2003 and summer 2006, I juggled the website with a demanding degree programme. There were times when I wasn't able to update the site very often; but I couldn't bear to put it on hold or give it up completely. I made every effort to continue producing content for the website – and keep up with Zoë's projects. The tiny TV I took to university was invaluable in that respect (even though the picture quality left a lot to be desired – I was reliant on a temperamental portable aerial!). During the first term there, several new friends and I spent an enjoyable evening watching Wilde, the engrossing film in which Zoë played Ada 'Sphinx' Leverson, the loyal friend of genius Oscar Wilde. I first saw Johnny and the Bomb on that little TV too. And whenever student life became stressful, I'd take comfort from watching the latest episodes of My Family. My life had changed considerably by late 2003, and the website would soon undergo a transformation of its own. While at university, I noticed the number of adverts placed on the site was increasing. Adverts are a necessary part of a free web-hosting service. However, I was worried that fans might avoid visiting the website if they felt they'd be confronted by too many of them. The time had come to pay for web-hosting: it was the only way to avoid adverts. Moving the site to a new hosting service meant losing its original address. Would the website therefore end up losing some of its visitors too? 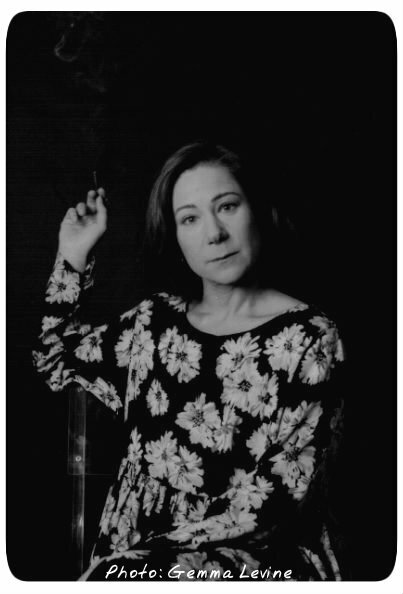 In order to make the site as easy to find as possible, I chose the most relevant, memorable domain name that I could think of for its new address: zoewanamaker.com. My brother, Robert, has a much better understanding of the technical aspects of websites than I do, and so I was glad of his help during this period. Robert also helped me to give the website a makeover; the new look was unveiled when the move was completed in late summer 2005, shortly after the site's third anniversary. The updated design was intended to make the site look more professional. It was smarter and more sophisticated than previous designs, even if the inline frames could make reading the pages a little tricky. New content accompanied the new look: I announced in the news section that the site now featured 'more interviews and articles, more information and more pictures than ever before'. I ran a competition to celebrate the website's transformation, offering fans the chance to win the third series of My Family on DVD – plus a special mystery prize! That prize consisted of an autographed script from the sitcom, which was kindly donated by Zoë and her brilliant PA, Vanessa Green. 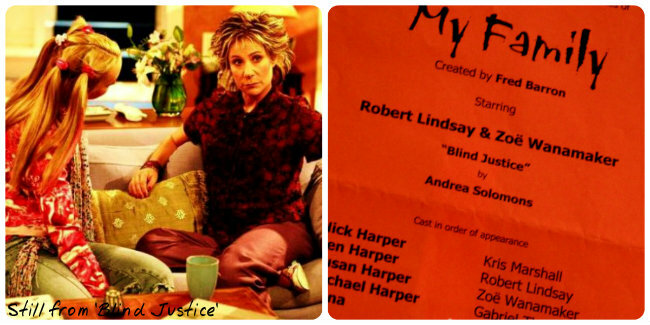 In order to enter the competition, fans just needed to be able to name Zoë's character in My Family. The competition proved popular, with entries coming from the UK and abroad, highlighting the international nature of Zoë's community of fans. The next competition I organised for fans was designed to celebrate another special occasion, the site's eleventh anniversary in 2013. This time the prize was even more exciting: memorabilia from some of Zoë's most acclaimed shows, including Electra, All My Sons, Doctor Who and others, which she and Vanessa kindly provided. When entering the competition, fans were asked to name Zoë's character in Passion Play, the darkly comic show she was performing at the time. Again, entries were received from around the world. I'd like to run another competition on the website at some point, but coming up with a prize that's even better than all of that fantastic memorabilia will be no easy task! After graduating in 2006, I enrolled on a postgraduate course at Birkbeck, part of the University of London. I enjoyed exploring the city in my spare time and returned to the National Theatre, where I watched Zoë give spellbinding performances in The Rose Tattoo and Much Ado About Nothing. By late 2008, I'd left my student days behind me, and most of my time was spent applying for jobs. I'd long wanted to be a writer, but that didn't seem to be a financially viable option, and so I focused instead on trying to secure an office job. For the first ten months or so after leaving university, I felt like a fish out of water. Then as now, the jobs market was highly competitive. I was soon dogged by depression, anxiety and self-doubt. Life was tough. As a result, my heart wasn't always in the website. I aimed to redesign it by early 2009, but the way I felt meant the project didn't get off the ground. What I had in mind for the website was more ambitious than the last time it had been redesigned, five years ago. The Internet had moved on considerably since then; websites were rapidly becoming more sophisticated. This site was at risk of being left behind. It needed to be brought up-to-date and relaunched, but I knew I wouldn't be able to do that all by myself. Robert saw me struggling and kindly stepped in. He ably took charge of the technical side of the project, deciding to replace the website's old HTML code with a more advanced, flexible alternative: PHP. He built what's known as a content management system, designed to make editing the site far more straightforward than it used to be. In addition, he created graphics for the site's new design, including nifty menu buttons. Most evenings after work, I produced fresh content for the website and rewrote existing pages. I remember typing at top speed in my flat! The process was tiring yet exciting. Whenever I struggled to find the energy to continue writing, I reminded myself of the project's ultimate goal: to give the official website for Zoë's fans a new lease of life. When the time came for Robert to replace the old version of the website with the new one, in early 2011, I held my breath. What if something went badly wrong and our hard work was lost? The anxiety I felt brought home what an important part of my life the site had become. Thankfully, there were no disasters; but teething problems of some sort are almost inevitable when making such a major change to a website. Robert ended up working through the night in order to resolve a few technical issues and complete the relaunch. Although I tried to make myself useful, I'm a terrible worrier and doubt I was much help! 'Completely re-designed and re-written, the site should now be easier to use and more informative than ever before,' I announced excitedly in the relaunched website's news section, on 8 January. The purple-and-white colour scheme, inspired by the jewellery Zoë wears in the photo at the top of each page, looks fresher than the old site's grey one. Robert and I were thrilled to hear from Vanessa that Zoë felt the site's new appearance conveyed enthusiasm and energy. After all, they're two qualities Zoë has in abundance. There was more excitement on 20 February: Zoë won Best Actress in a Play at the 2011 Whatsonstage.com Awards for her superb performance as grief-stricken Kate Keller in All My Sons. She'd received almost a third of the public's votes in that category. Zoë's co-star, David Suchet, was named Best Actor in a Play. 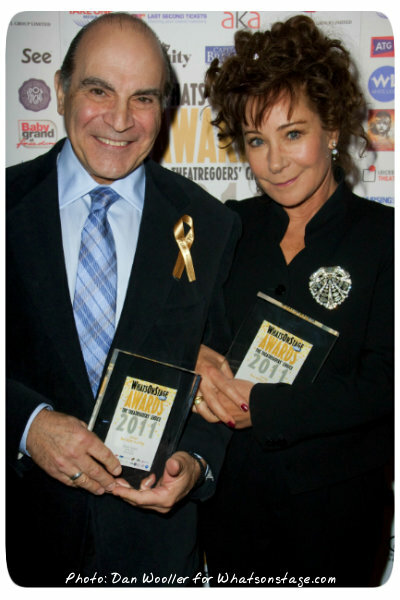 I was delighted to be able to share this lovely photo of them both from the ceremony in the site's news section (please don't reproduce it without Whatsonstage.com's permission). In addition, Vanessa asked me to add a special message to the website, in which Zoë expressed her gratitude to All My Sons's audiences. 'Thank you to all those people who came to see the show and voted for me. I was honoured to receive the Award,' she emphasised. On 30 July 2012, the website reached its most significant milestone yet: ten years online! I'd recently begun working at a busy PR agency but was determined to mark the occasion. I wrote an article reflecting on Zoë's achievements since 2002. Ten years had flown by in a flurry of activity; so much had happened, so much had changed. 'When the website began,' I remarked, 'only two series of My Family had been broadcast (eleven in total would eventually be shown); Zoë's eagle-like Madam Hooch had flown her broomstick into Harry Potter and the Philosopher's Stone fewer than twelve months ago; Zoë's wonderfully eccentric Ariadne Oliver had not yet joined forces with David Suchet's Poirot; and the sparky His Girl Friday was on the horizon'. In addition to looking back over the past ten years, I found myself thinking about what the website's future might hold. The result was an ambitious, ten-point plan to improve the site. Several years down the line, I'll be the first to admit that I haven't yet accomplished everything set out in the plan (well, I did say it was ambitious!). Initially, I'd hoped to complete all of the tasks within twelve months – a pretty optimistic deadline! My progress in some areas has been good, though. The website today features more interviews (including write-ups of Q&A's and similar events at the Duke of York's Theatre, JW3, Cheltenham Literature Festival and elsewhere) than in 2012. It also includes more details about Zoë's work, especially her early TV programmes (such as 'Sally for Keeps', 'The Silver Mask' and Lorna and Ted). I've made inroads into social media too, having joined Twitter in 2014 (a year after Zoë, whose profile is managed by Vanessa). I often tweet about Zoë's projects and updates to the site. Chatting to other fans on Twitter has led to new friendships and reminds me of the good old days of the online discussion group! There's plenty of work still to be done on the website (I'm particularly keen to revisit the idea of making a video of highlights from Zoë's career). If I'm perfectly honest, sometimes I feel a little overwhelmed by the amount that needs doing. The site is certainly a challenging, constantly evolving project; but having said that, it's also great fun. And let's not forget that all websites, especially those with a broad scope, can be thought of as works in progress. This site will never be truly 'finished', but that's not a bad thing. It's actually very exciting. Over the years, I've been fortunate enough to acquire a number of rare books, theatre programmes, reviews and other items related to Zoë's work. Those finds inspired 'From the Archive', a series of articles launched to celebrate the website's twelfth anniversary in 2014. 'The aim is to show you things that you might not have seen or heard of before, or that might bring back some wonderful memories for you,' I explained at the time. For example, the first article focused on the striking photos of Zoë that have been taken by Gemma Levine (including the image below, which is from a rare book, People of the 90s). By bringing rare material to light, 'From the Archive' hopefully gives fans helpful insights into Zoë's career. In recent months (I'm writing this in July 2016), I've been so busy covering her latest projects on the website that 'From the Archive' has been forced to take a back seat. However, I'm keen to produce more articles for the series in the near future. In fact, expanding 'From the Archive' should probably be the eleventh point on my plan! Managing the website has always been a labour of love; I've lost count of the number of hours I've spent working on it. The news articles alone encompass tens of thousands of words. Without the opportunity the site has given me to develop my writing skills, I doubt I would have ever felt brave enough to give up the relative security of office work and pursue my long-held ambition of being a writer. Shortly before the site's twelfth anniversary, and with the end of my twenties on the horizon, I took a leap into the unknown. 'If not now, when?' I asked myself. I left my PR job and looked for freelance writing work instead. The career of a freelance writer is varied and unpredictable, rather like the career of an actor or actress. I can't pretend that my job is plain sailing, but I know in my heart that I made the right choice. These days, I earn a crust by writing articles for a wide range of companies and, in my spare time, enjoy entering creative writing competitions. I've taken a few scriptwriting courses and would love, one day, to write TV drama scripts. I'm grateful for the encouragement Zoë and Vanessa have given me in relation to my scriptwriting. Being a fan of a performer is a fantastic way to explore the arts – you watch shows, read books and attend events that you might never have heard about otherwise. Perhaps that's why I enjoy being a fan of Zoë and working on the website just as much now as I did years ago. If the site helps to enrich your appreciation of Zoë's career, it'll have achieved its aim. Whether you've been a fan for many years or have only recently discovered Zoë's work, you're very welcome here. I sincerely hope that you'll enjoy your visit and return soon. If you have any suggestions for improving the website, please feel free to email me. I'd like to give special thanks to Zoë and Vanessa for their kindness and support. The trust they've put in me in relation to managing the website means more than I can say. Thanks also to Robert for his technical advice and hard work; the rest of my family for their encouragement; and all of the other fans who've made contributions to the website, especially Janet (who often lets me know about relevant links) and Nadine (who has generously provided a great deal of material for the site from her own collection).